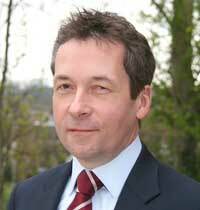 Ian is CEO of the Tenax Schools Trust, a multi academy trust in Kent East Sussex. He was President of the Association of School and College Leaders from 2013 to 2014 and has been a Member of the South East and South London Regional Schools Commissioner’s Headteacher Board since 2014. Ian joined Sabre’s board in 2011, and has been the Chair of Trustees at Sabre for the past six years. During this period, Ian has played a key role in developing Sabre into the leading early years education charity it is today. Ian has an MA in Modern and Medieval Languages from the University of Cambridge, and Master’s degrees in Education and Philosophy. Ian began his career in 1985, later working abroad and as a Head of Modern Languages in inner London. After leading a large school sixth form, he became a Headteacher of Bennett Memorial Diocesan School in 2004. Bennett is one of the highest achieving schools in England and has been rated Outstanding by Ofsted. At Bennett, Ian led the formation of the Tenax Schools Trust, which aims to offer schools wide opportunities for mutual support and partnership, in particular through the practical sharing of leadership, educational and pedagogical expertise, resources and joint professional development. Ian is also a National Leader of Education, an Ofsted Inspector, and a Trustee of the National Foundation for Educational Research in England and Wales. Three words to describe Sabre?